When shopping for a compact car that's efficient, affordable and fun to drive, you have a variety of options. Unlike Volkswagen, some lesser manufacturers cut corners and omit essential features in order to keep the price down. When you compare the 2018 Volkswagen Jetta against the 2018 Hyundai Elantra, you'll see exactly what we mean. For just a little bit more than the Elantra, the Jetta gives you all the modern appointments and safety systems you expect in a brand-new car. It's far and away the superior value in this segment! Let us show you more about what makes the Jetta so special below — then check out our other Jetta comparison pages to see how this handsome German car stacks up against other popular competitors. Once you're convinced the Jetta is the compact sedan for you, we look forward to seeing you for a test drive! Every single 2018 Volkswagen Jetta comes equipped with a 5” (or bigger, on upgraded trims) touch screen powered by VW Car-Net®. You'll enjoy standard Apple CarPlay® and Android Auto® connectivity through the convenient touch display. By contrast, on the base Elantra, a standard audio system is all you'll get. Not only will your passengers stay connected and entertained in the Jetta, they'll stay comfortable with more rear seat legroom than the 2018 Hyundai Elantra. You'll even be able to bring more of their stuff, since the Jetta has a bigger trunk than the Elantra. On the outside, the 2018 Volkswagen Jetta brings LED daytime running lights and heated exterior mirrors, totally standard. You'll have to pay more to get those features on your 2018 Hyundai Elantra. 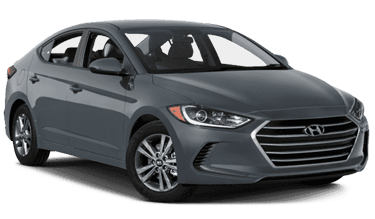 The 2018 Hyundai Elantra is equipped with outdated performance technology that can reduce the quality of your driving experience. With drum rear brakes and a semi-independent rear suspension, Elantra won't give you the control and steering response you demand. Meanwhile, the 2018 Volkswagen Jetta features disc brakes on all four wheels and a fully independent rear suspension for better handling and grip. That's not to mention the superior engine power you'll get from the entry-level Jetta! The base Jetta makes 50 additional pound/feet of torque compared to the base Elantra, which means it'll give you thrilling acceleration.